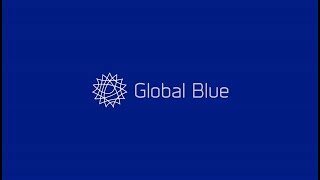 Global Blue invented the concept of Tax Free Shopping almost 40 years ago and is now the worldwide industry leader, enhancing the Globe Shopper experience and creating value for retailers and partners through a range of products and services. Global Blue's Tax Free Shopping solutions allow thousands of retailers, including most of the world's leading luxury, fast fashion and department store brands, to quickly and securely offer Globe Shoppers savings of up to 20% when shopping in 305,000 stores around the world. Global Blue's IT headquarters is located in Vienna. The successful candidate will work as part of global team of database administrators and will be responsible for managing and administering more than 600 databases on more than 140 servers. To succeed in this position you should posses an expert level knowledge of MongoDB as well as experience administering MS SQL server (2005-2017). Experience with administering, installing and configuring Mongo DB - is mandatory! Global Blue guarantees an attractive, competitive and performance-related compensation package based on your professional and personal qualifications as well as on market-oriented salaries and, therefore, our compensation package is significantly above the stated minimum salary. As required by Austrian federal law we are obliged to disclose the minimum annual compensation according to the respective Austrian collective agreement for this position, which amounts to 35.174,30 EUR.